Are you a fan of movies from the Marvel Cinematic Universe? Have you recently adopted a new cat? 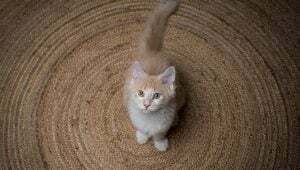 Whether your new kitty seems like a sweet little hero or a mischievous villain, you can find a name to suit your new family member from the MCU. 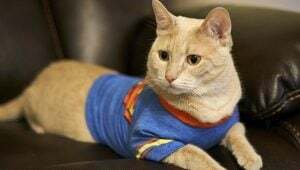 Do you have a new cat in your life who looks like a certain hero? Or maybe their personality is a little more villainous. Or maybe you're just a big fan of the DC Extended Universe (DCEU) movies. Whatever the case, check out these cat names inspired by the films! Cat Circles: Why Are So Many Cats Irresistibly Drawn To Circles? You've probably heard of Crop Circles but have you heard of Cat Circles? 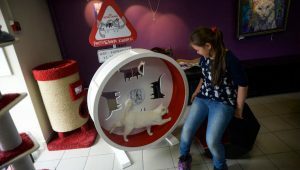 Cats all over the world are being “trapped” by their owners with items placed in the form of a circle. Why? No one seems to be sure! The first time a cat catches a glimpse of themselves in the mirror, they usually go absolutely bonkers! They'll puff themselves up really big, walk on their tiptoes, and maybe even try to attack their own reflection. But why? March 17th is Saint Patrick's Day! Humans aren't the only ones going green for the holiday, though. 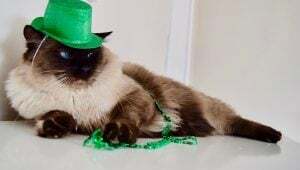 Some of our kitties are getting into the St. Paddy's spirit, too! Need to catch up on the latest internet feline sensations? 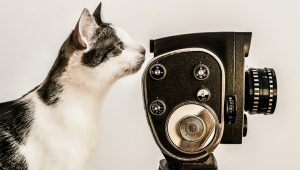 Sit back, relax, and watch the most entertaining and funny cat videos for the month of March, including bobtail kittens, exercising Bengals, and mischievous cats pestering plants. 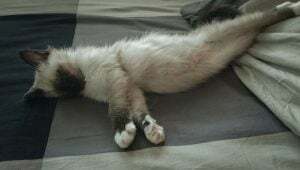 March 15th is World Sleep Day--a day to celebrate sleep and its importance for our health. The kitties in these videos are just too sleepy to bother with beds, and they can't stay away for one more second! 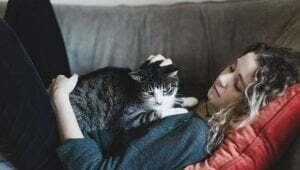 Professional Pet Sitters Week is celebrated each year during the first full week of March. It's a perfect time to say thanks to the wonderful people who care for your kitties while you're away or visit them while you're at work. 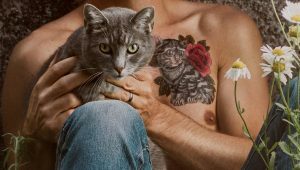 These cat fans love their kitties so much that they'll go through the pain of having a permanent memorial etched onto their skin. They have some of the best cat tattoos we've ever seen! 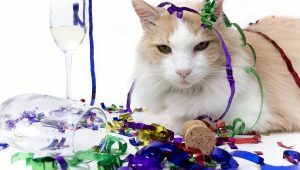 Want to have a fun evening for the entire family and raise money for cats in need? 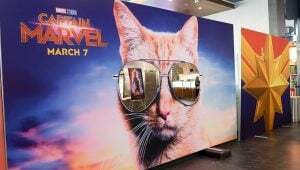 Cat Video Fest 2019, appearing in theaters, is a 70 minute compilation of the newest, best, and funniest cat video clips, sourced animation, music videos, and feline internet powerhouses. Presidents Day is coming up on February 18th, 2019. 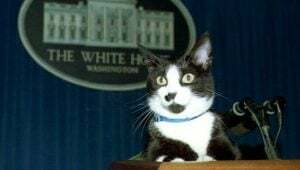 To celebrate, here are ten cats who I believe have the right skills to be elected President of the United States. Sometimes dealing with politicians can get a little tiresome. 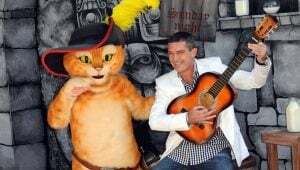 Instead, some people prefer to work with politi-cats. 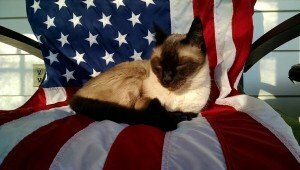 These seven amazing cats ran for political office. Find out which of them actually got the job! 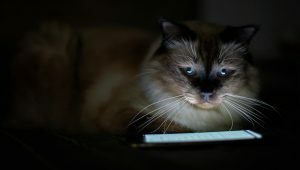 The internet loves cats, so it's no wonder that Instagram has a huge amount of cat-based accounts. Check out this list of five hilarious cat Instagrams featuring Wilfred Warrior, Owl Kitty, and Cats In Food! 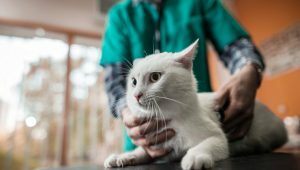 People like to talk about the funny quirks that cats have, but did you know that cat owners have a lot of quirks too? Yes, it’s true! You are likely doing a few things that are driving your cat absolutely crazy. Are you guilty of any of these? 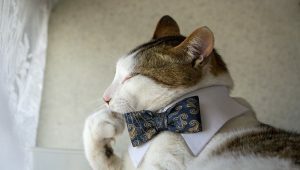 Cats' bizarre behaviors only make us wonder even more: what could they possibly be thinking about? Well, they probably wonder about some of our strange behaviors, too. That's why National Answer Your Cat's Questions Day is so much fun! New Year, new mew! Check out these six funny videos of cats getting in shape for the New Year with a little help from their exercise wheels.